On their first full day in Italy our pilgrims have a busy schedule! They begin with Mass in St. Peter’s Square celebrated by Pope Francis, followed by a Papal Blessing. Click here for a translation of Pope Francis’ address. In the afternoon our pilgrims take a guided tour of Rome, followed by Mass in the Catacombs of St. Domitilla. These catacombs are spread over 17 km of underground caves in four levels. In these caves you can see what life was like for the early Christians. Explore a sunken church and early Christian art, including a 2nd century fresco of The Last Supper. For more info visit this site. 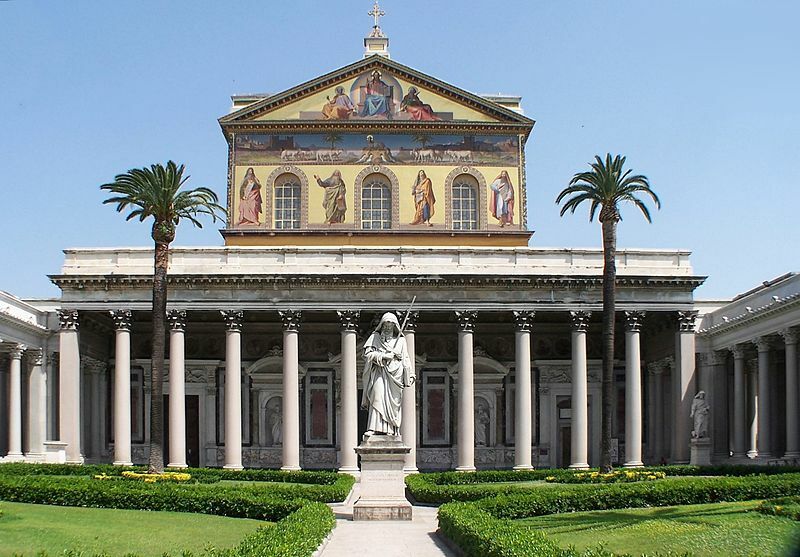 Finally the group will visit St. Paul Outside the Wall, a Papal Basilica outside Vatican walls, but fully owned by the Holy See. It was built over the tomb of St. Paul. Learn more here. Lord Jesus, as our loved ones explore the history of your church, inspire in them new fervor of faith. And may Pope Francis’ energy and joy infect us all with renewed zeal and a determination to engage everyone in dialogue. Amen.